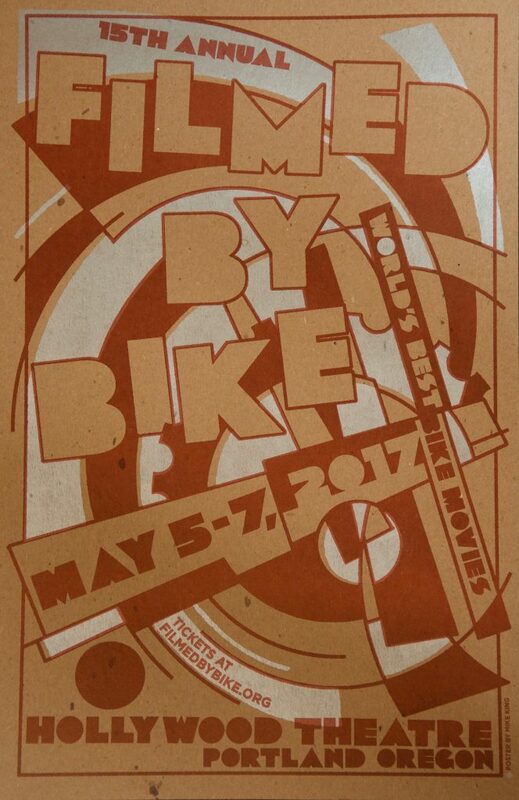 Mike King has made more rock and roll posters than anyone in America, and now he has also designed a Filmed by Bike poster. His new book Maximum Plunder features 1,000 pieces of his work over the years. Too bad the book was compiled before our poster was released! The poster was printed by the amazing folks at Stumptown Printers using an offset (not digital) process on ancient monolithic machines with soul.